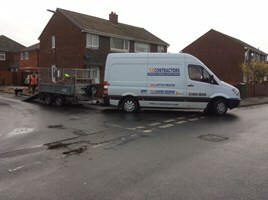 T G Contractors Limited - Landscaper , Roofer based in Habrough, South Humberside. Our customers established customer base know us for being punctual, friendly and having the skills and experience to produce a fantastic final product. We would love to speak with you over the phone and discuss your plans for future projects to see how we can help. IF you are looking for more information on our services please read through the relevant sections on our website.